Why leave your pre-event promotions up to a coin toss? 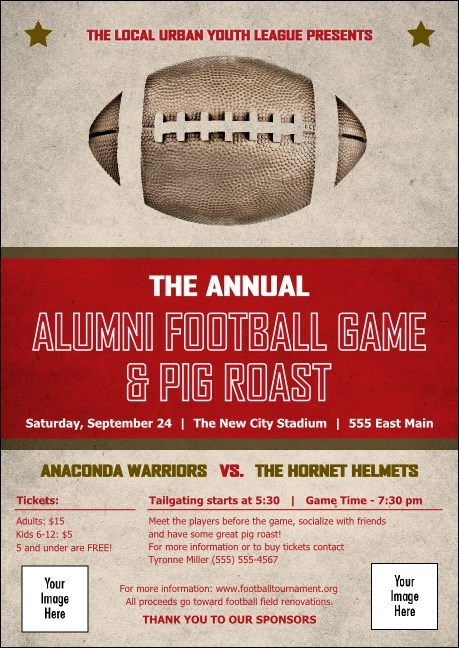 Get real results when you print personalized Football Red Club Flyers and send them out to your guest list in advance. Every sporty Club Flyer features a cool, vintage theme with a bold, red stripe in the middle and room for two image uploads below. Complete your promotional pass at TicketPrinting.com.